The new design and improved material specification gives a durable and robust product. Forged bottom parts provide extra strength to exposed areas and teeth at the front gives better grip in wood. 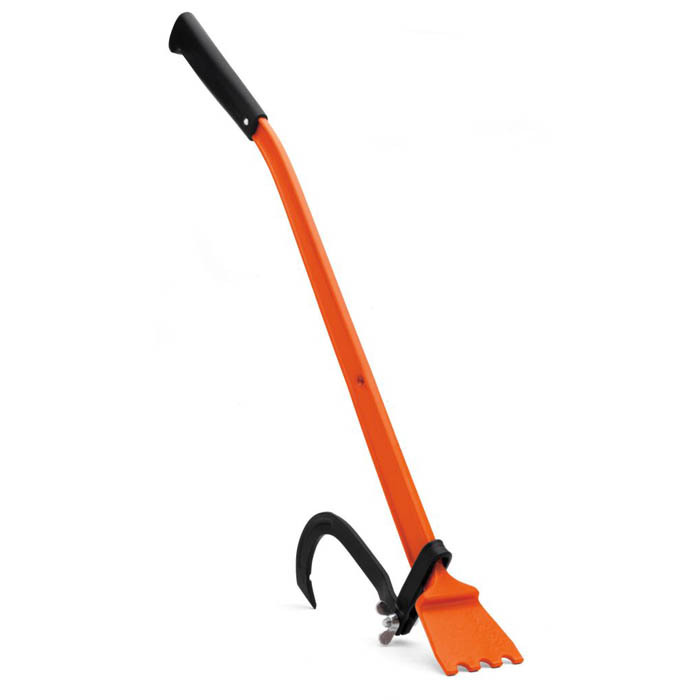 The length gives the user extra power, and the extra long handle makes it possible to use with a two-hand grip. A knob at the ends prevents slipping when using the feet, and the bar is equipped with a hook for turning trees and logs. Made in Sweden.